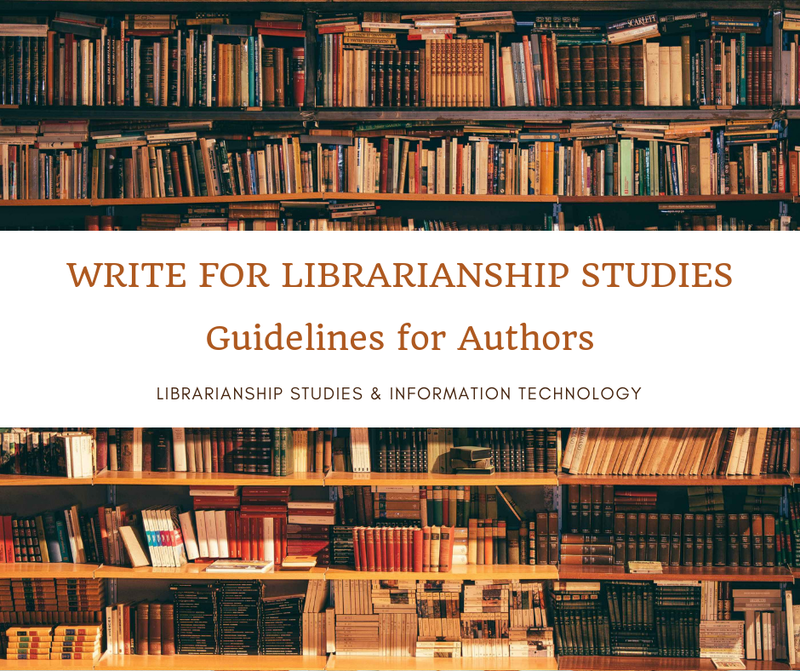 LIBRARIANSHIP STUDIES & INFORMATION TECHNOLOGY: Who Needs a Librarian and Cataloger When You Have Google and Internet? "Who Needs a Librarian and Cataloger When You Have Google and Internet? Well, Who Needs a Teacher When You Have Wikipedia? And, Who Needs a Doctor When You Have WebMD? 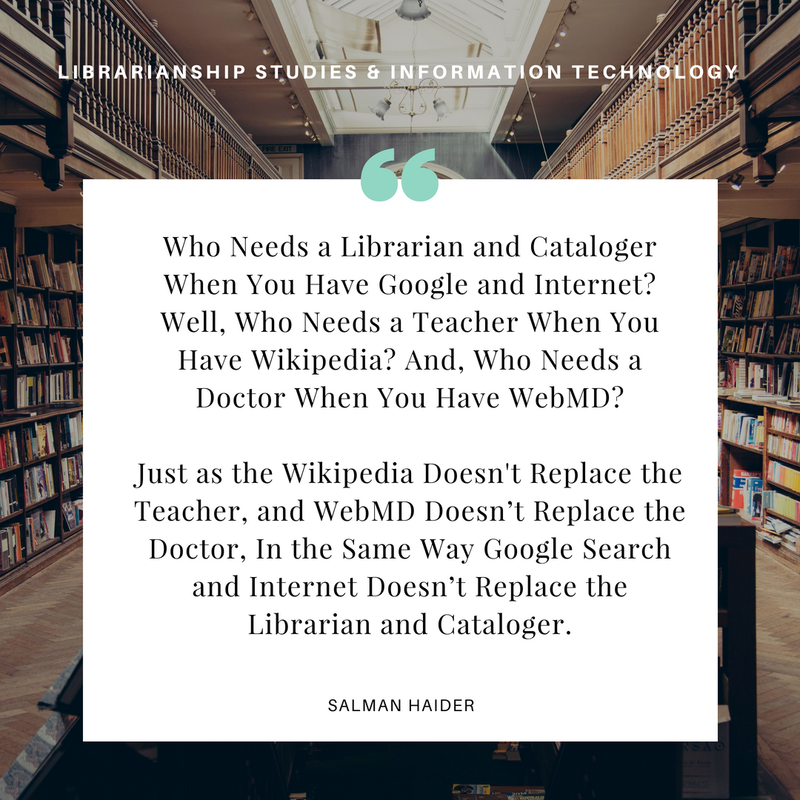 Just as the Wikipedia Doesn't Replace the Teacher, and WebMD Doesn’t Replace the Doctor, In the Same Way, Google Search and Internet Doesn’t Replace the Librarian and Cataloger." Best Quotes About Libraries Librarians and Library and Information Science: Most Beautiful Quotations About Libraries, Librarians, Cataloging, Classification, Catalogers, and Library and Information Science. Famous quotes describing why libraries and cataloging important and librarians and catalogers indispensable. Includes inspirational and motivational quotes from famous personalities for personality development, personal development, self-improvement, and achieving greater success in personal and professional life. Larry Schwartz (Collection Development Librarian at Minnesota State University Moorhead, Fargo, North Dakota, United States) -- The sad thing about this is that LIBRARIANS KEEP HAVING TO SAY THIS EVERY DAMN YEAR. Sally Robertson (at Nashville State Community College, Greater Nashville Area, TN, United States) -- Love that quote about librarians ands catalogers. Google is not a replacement for what I do. Alain-Philippe Bruneau (Director, Library and Knowledge Centre, Ottawa, Canada Area) -- Bravo!! Anoop Bisht (Information and Knowledge Professional, New Delhi, India) -- Actually the Majority of the general population don't understand what it is that Librarians and Information professionals actually do at the backend. Lloyd Wedes (Academic Library Director, Editor, Forecaster, Researcher, In Search Of New Horizons, Houston, Texas, United states) -- I have heard professors say Who needs librarians when there are software and websites who assist students. I said those software are sites could easily replace professors. End of discussion. Charles Kelley (Area Director, Supervisory Librarian and Project Manager, Washington D.C., United States) -- Lloyd Wedes, as my father says, how can you be sure you haven’t been cheated if you can’t manually double-check a column of figures? Lawrence van Rijn (Account Strategist @ TRO, Sydney, Australia) -- Google search is really good if you know what you are looking for. The librarian offers insight, alternatives and wisdom on whatever you are seeking. Things a search engine just will not do for a very long time to come. Ravi A. (E-resources librarian, GVPCOE, India) -- Even though you have google librarian teaches how to find the right article so librarian is needed.